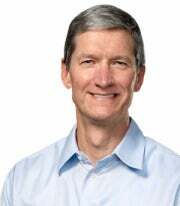 Apple CEO Tim Cook said the company would increase secrecy of the products in its pipeline, a speech that occurred on the same day alleged designs of the iPhone 5 were leaked online. Speaking at the D10: All Things Digital conference, Cook said: “We’re going to double down on secrecy on products.” Meanwhile, online photos of what appear to be parts of the next-generation iPhone were published by 9To5Mac. Could it be a coincidence that Cook gave his speech on the same day the photos were leaked? Absolutely. After all, it wouldn’t be the first time we have seen alleged parts of a future iPhone that turn out to be wildly off-base when the real product arrives. It’s just that the photos of the purported iPhone 5 casings obtained by 9To5Mac match many of the tipped changes for the next-generation Apple smartphone, expected later this year. They show a greatly reduced dock connector at the bottom, redesigned speaker grills and the headphone jack relocated to the bottom left of the phone -- a first for Apple’s phones. An additional opening between the camera lens and the LED flash can be observed, which 9To5Mac speculates could be where the secondary microphone (used for noise reduction since the iPhone 4) was moved in order to allow for better audio capture during voice recordings. More strikingly, the back of the pictured phone has a large metal plate that could be made of Liquidmetal, a material Apple purchased exclusive rights to and is already using for the SIM ejector tool. The antenna band seems to be molded into the metal backplates and the top and bottom of the device still appear covered in glass, probably to allow for better signal reception. The original iPhone had a metal back, but subsequent iterations used plastic and then glass. What about that bigger screen? Well, the photos don’t reveal much about that, if they actually depict an iPhone 5 prototype casing. It appears the parts have the same width as the current iPhone 4S, but it’s taller, which is in keeping with recent reports that Apple is looking to increase the phone’s height in order to accommodate a 4-inch screen and 4G LTE connectivity (along with a bigger battery).